The conference theme seeks papers and presentations that explore the synergies between baseball, jazz, and the short story in the early Twentieth Century, especially the years 1916-1941. The conference defines “baseball writing” and “jazz writing” broadly, so papers may address baseball/jazz journalism, fiction, film, drama, radio, and popular song. Touching on one, two, or all three themes, proposals should examine how baseball, jazz, and/or the short story were emerging as three American art forms in the early part of the twentieth century. 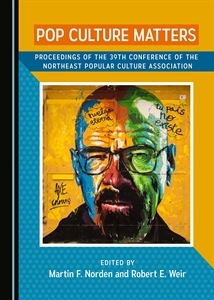 Thus, the conference is particularly interested in multi-, cross-, or interdisciplinary essays that examine the intersection of those three contributions to world art. Proposals should be sent to Scott D. Peterson (scott.peterson@wright.edu). Include on the proposal your name, address, phone number, academic affiliation, and e-mail address. The deadline for proposals is November 23, 2015. Presenters will be notified of acceptance by November 30, 2015. The conference registration fee (for both presenters and attendees, payable in person or by mail) will include a keynote address on Thursday evening and breakfast, lunch with a speaker, and a ticket to a Wright State University ball game on Friday.